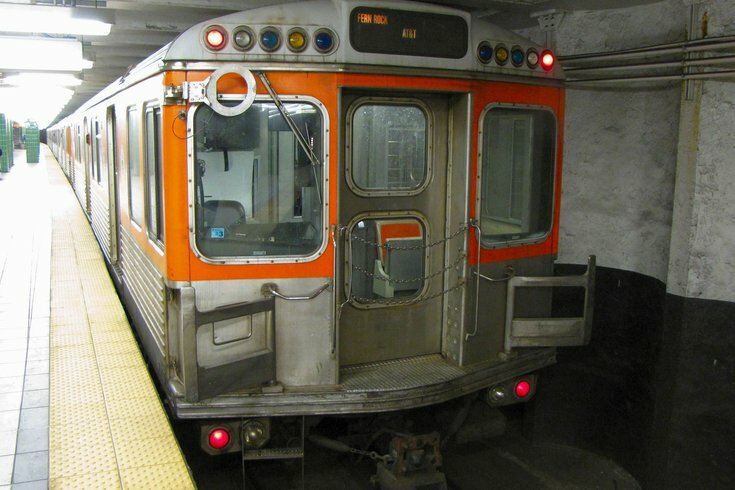 A Broad Street subway train, at the Race-Vine station. SEPTA is expected to begin rolling out its long-anticipated SEPTA Key card on Monday, the transit authority announced. Ten thousand key cards will go on sale June 13 as part of SEPTA's Early Adopters pilot program. Riders will be able to purchase key cards initially usable as either weekly or monthly transpasses on SEPTA's buses, subways, trolleys and the Norristown High Speed Line. Eventually, riders will be able to add stored dollar amounts to the cards. The key card program later will be expanded to include SEPTA's Regional Rail system and paratransit vehicles. "The card is a branded Mastercard," SEPTA spokesman Andrew Busch said. "Once the stored value becomes part of it, you'll be able to use it for other things where you can use a credit card. That's definitely down the road a bit, but that will be worked into the program." SEPTA has not announced a specific start date when the program will expand. But Busch said the goal is to have it launch on the Regional Rail system sometime in 2017. The SEPTA Key card program is expected to modernize the transit authorities fare system, which still relies on tokens and paper transfers. Eventually, those antiquated forms will be phased out. "We're doing a very gradual rollout on this because it's such a big change," Busch said. "People who are a currently using tokens or who are using existing monthly tokens don't have to worry about those becoming obsolete. We're going to gradually move over to the new stuff."